Welcome to the Semifinal Round of the 2016 HornRank Marching Brackets! 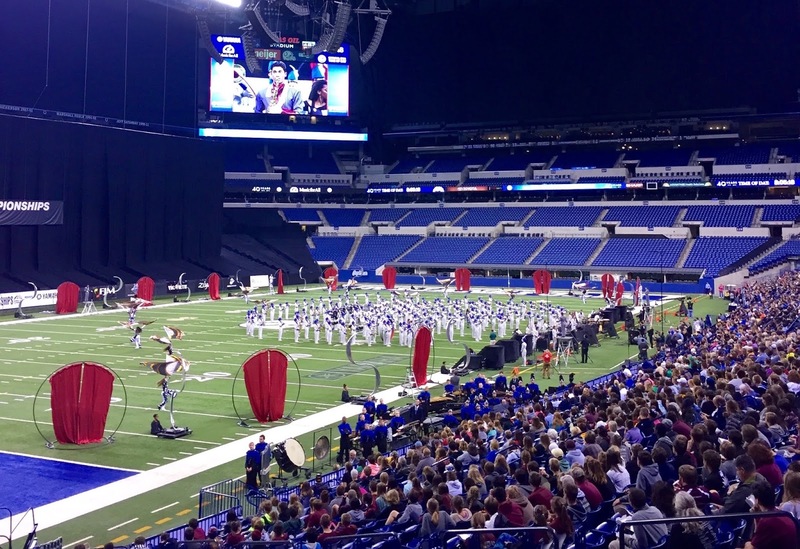 You can read about how we seeded shows or vote below until Sunday, April 3, at 11:59 p.m.
Hebron’s “360” won the hearts of fans across the country in their first trip to Grand Nationals, posting the highest score in BOA history in semifinals while finishing 3rd in finals and taking the music caption. Noah Khan's incredible sax solo impressed many viewers and may be enough to take Hebron into the Final Round. Round Rock’s first appearance at Grand Nationals was in 2013, and they left Indianapolis with a 4th place finish, a music caption victory in semifinals, a Rose Bowl bid, and a thoroughly enjoyable show. They are now one of the country’s beloved programs, and this show was a large part of their ascent to national recognition. The awards ceremonies in San Antonio are always intense. No matter how in the know you are, there will always be a few exciting and surprising moments. One of those moments was when Hebron was awarded second place by only 0.05 points, without winning a single caption. Ronald Reagan's second place finish by less than half a point in 2015 was also an intense and exciting moment. Which second place group will win? So glad both Hebron shows won, feels good to be an alum.